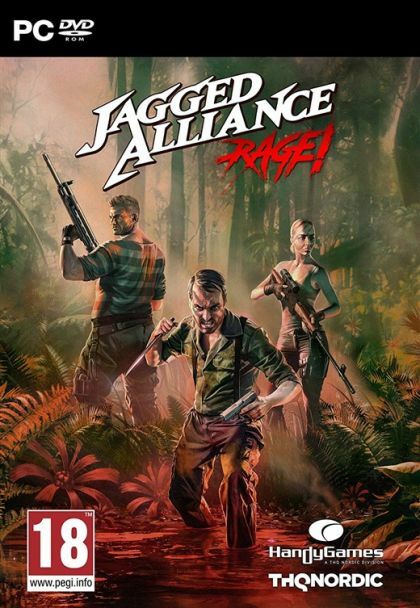 Collectorz.com Core Game Database PC Jagged Alliance: Rage! Set 20 years after the first Jagged Alliance, this spin-off lets you experience a road trip into a jungle hell to test your mind and body to the limits! This time it's just you and a few allies versus an entire island ruled by a drug overlord and his crazed army. Constantly on the brink of breakdown, faced with dehydration and no support from home, you lead a team of seasoned mercenaries against vastly outnumbering armed forces. Use tactical brilliance and guerilla tactics to destroy their structures and strengthen the island's population to take back what is rightfully theirs. Do you have what it takes to rise to old glory?